I've got some bad news for you... The world doesn't care about your plans. Seriously. You may have all sorts of ideas, you may be excited about your grand visions, but let me tell you, nothing will come of any of these unless and until you take action. You have to understand that the world only cares about one thing and one thing alone: results. Everything else doesn't matter. Sadly, most people fail to take action on the big things... because they are having a tough time with the small stuff. Click the link on this page now to discover how to Take Success-Building Action Every Single Day Even If You Don't Feel Like It! 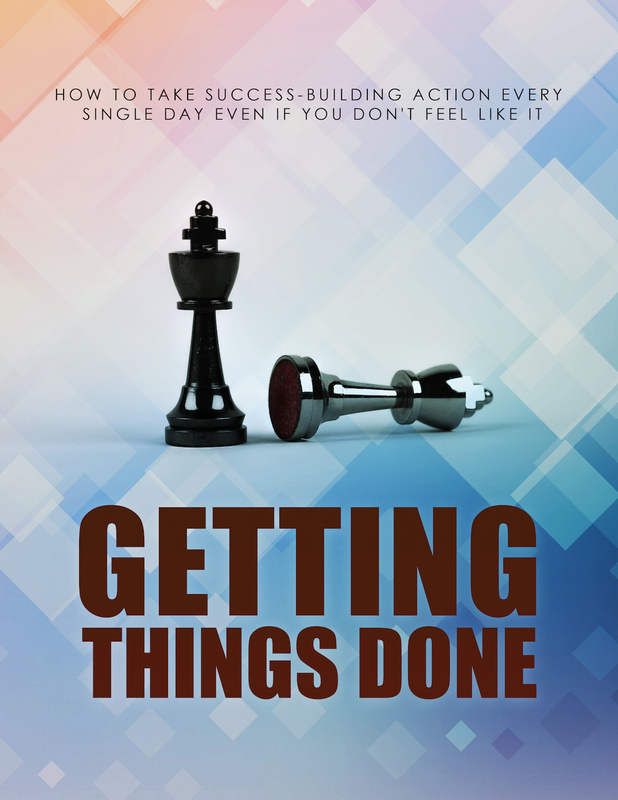 This e-book will help you find the drive and motivation to accomplish the things that you really want to do in life. PDF format. Instant download. Only $1.99 for a limited time. Order your copy now.